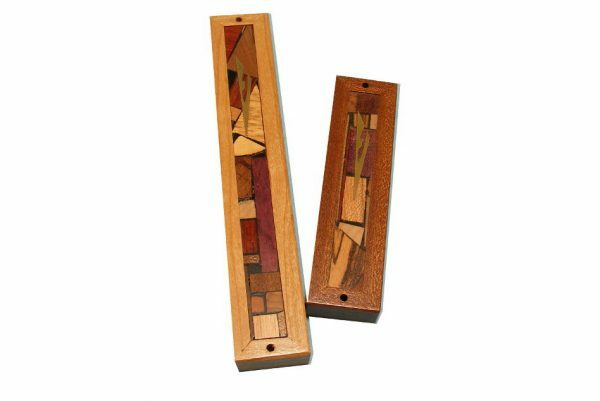 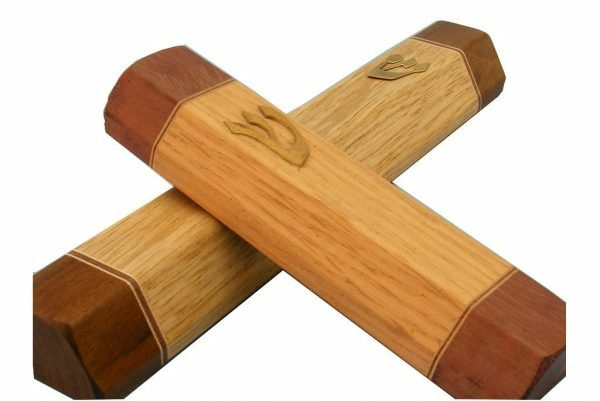 On sale – Mezuzah 2 – A geometric wide wooden mezuzah case. With a stylized “shin” made of brass. 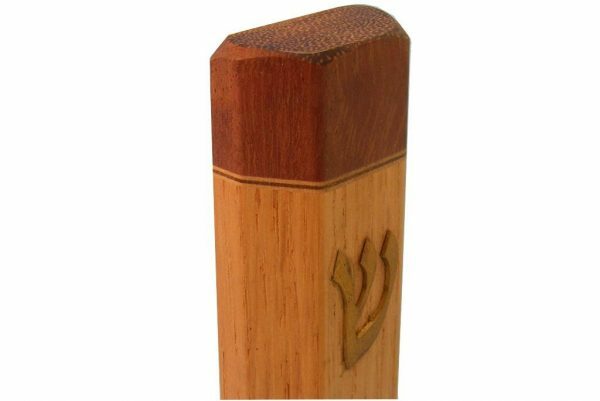 Inventory reduction sale on this model, enjoy the discounted price. 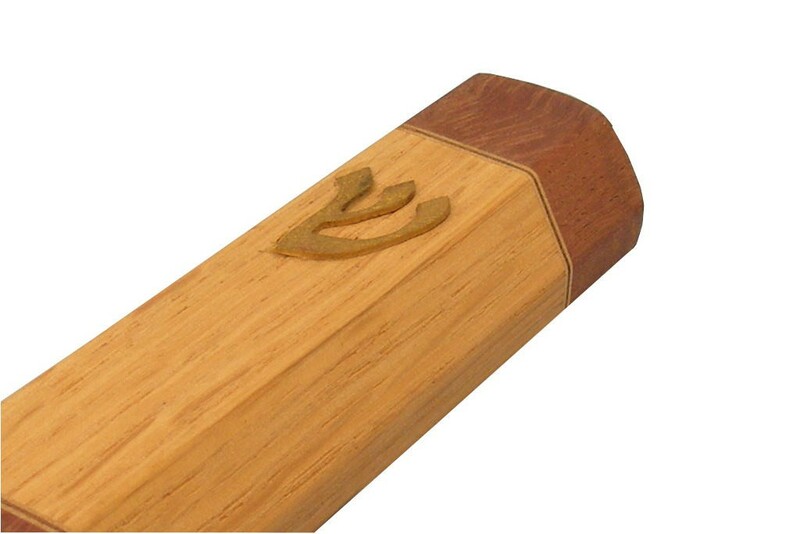 Add $40 to purchase the mezzuzah with a hand written kosher scroll parchment (“klaf”).